The Socialist Party of Great Britain (SPGB) was formed in 1904 as a breakaway from the Social Democratic Federation, the first organisation to propagate Marxist ideas in Britain. The Marxism of the SPGB is a continuation of that of the extreme leftwing of pre-WWI Social Democracy, rejecting all Leninist accretions (vanguard party, Bolshevik seizure of power as proletarian or socialist revolution, distinction between socialist society and communist society, theory of aristocracy of labour maintained out of superprofits of imperialism, transitional demands). The SPGB pioneered the view in Britain that Russia was neither a “workers state” nor socialist, but state capitalist. It advocates no minimum programme of reforms to be achieved within capitalism, but only socialism. It endorses trade union action on sound lines. Encyclopedia of Marxism on S.P.G.B. Founding member of the SPGB. A bricklayer, Fitzgerald joined the SDF in the 1890s, but was expelled in 1903 on a charge of “impossibilism.” On the 12 June 1904, he founded the SPGB together with 140 other former members of the SDF. 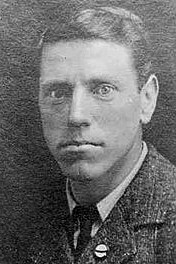 The son of a founding member of the SPGB, Hardy joined the party in 1922. He studied at the LSE and did considerable work on political economy, in particular a Marxist critique of Keynes and other work on political economy. Australian-born. Speaker, agitator and journalist for the Socialist Standard.